The Sunny Health Air Magnetic Rower gives you more resistance as well as additional enhancements that the other rowing machines in the lineup don't offer. With large foot pedals and a fully padded seat, this is a nice low price option for basic workouts. The Air Magnetic Rower features a single silver rail with black accents and a basic digital computer showing your calories, time and count. 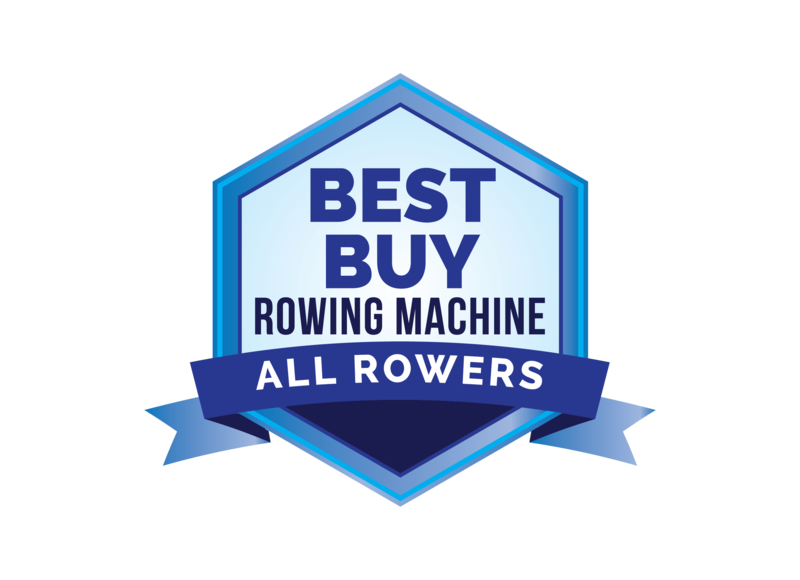 Length / Height: 79" x 26"
Check out this popular rowing machine on sale now at Amazon! The Air Magnetic rower is one of the more popular machines that Sunny Health & Fitness makes, and it is a decent step up from the base magnetic rower. You get 8 magnetic resistance levels to choose from, plus additional air resistance capability via the fan. The seat is relatively comfortable and padded. The non-slip handlebars provide a strong grip. The foot pedals are large and adjustable. Reviews have been generally positive, with users noting easy assembly, quiet operation, ease of use and of course, great price. At a little over $300 it's very affordable and will give you a decent workout. Any negatives? As long as you are not expecting a gym-quality machine, you will likely not be disappointed. Note that the digital computer is not the most advanced you'll find, so don't rely on it to be accurate. You only get your time, count and calories, so it is pretty much worthless as far as tracking your workout metrics. 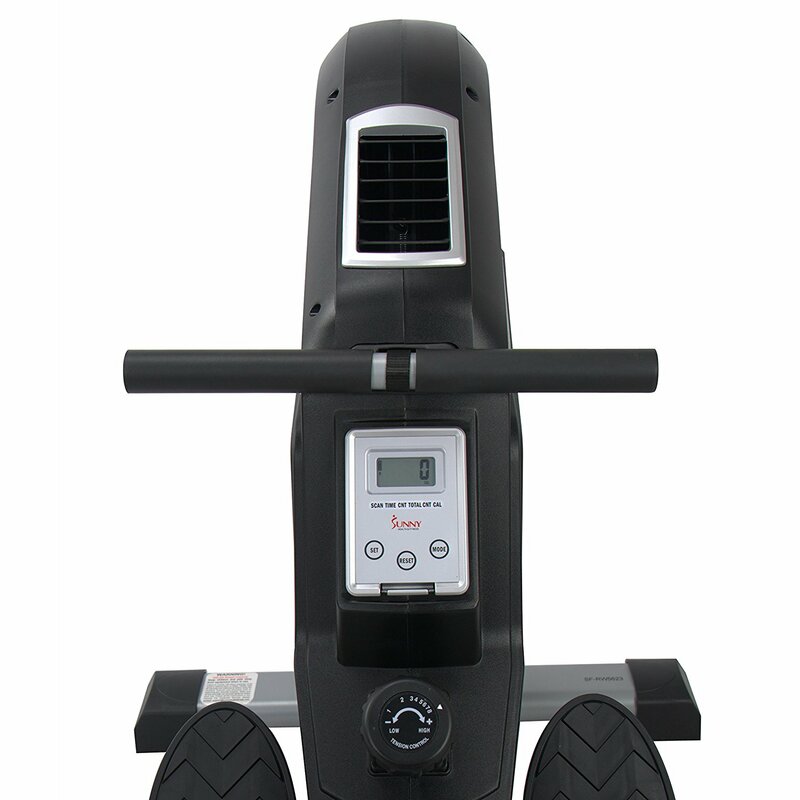 As such, the Sunny Air Magnetic Rower is not for serious athletes, or anyone who likes to know exactly how they are doing. It is more of a casual workout tool. With its 8 resistance levels it will provide a good workout for you, and you will burn calories and get into shape. If you want something a little better than the basic hydraulic rowing machine, give this one a look. We like the Air Magnetic Rower, and it is certainly one of the better machines in the Sunny lineup, and there are a lot of them. Reviews overall have been positive, and users have been happy with the machines for the most part. The only downside is the computer, but that is the case on most lower priced rowing machines. 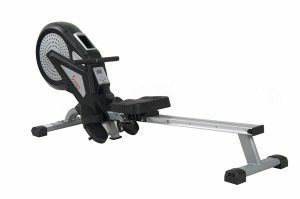 Also take a look at the up-level ASUNA magnetic rower...that model is a little better and only $100 or so more expensive. See more info and get special sale pricing on this rower here!